Our range of over the knee boots are perfect for any special occasion this winter.From peep-toe stilettos to fringe-trimmed flats, we've got the perfect pair of beauty boots for you. 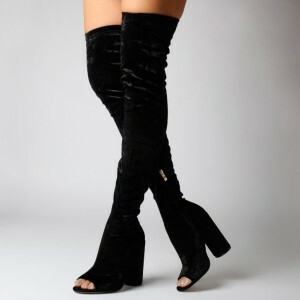 Free shipping & free returns on over-the-knee boots at fsjshoes. A peep toe shoe is a women's shoe with an opening in the that allows the toes to "peep" out. The peep toe shoe is not the same as a open toed shoe. A peep toe shows a small part of the toes, whereas an open toed shoe shows the entire toe line. they were so perfect, especially for the price. 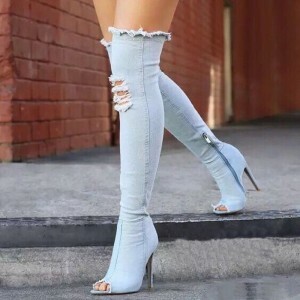 They are beautiful and great quality.